Wat Xieng Thong is one of the oldest temples in Laos. It was constructed around 1560 by King Setthathirat, ruler of Laos from 1548-1571. Wat Xieng Thong is the masterpiece of Buddhist architecture in 16th century with golden facades and colorful murals. 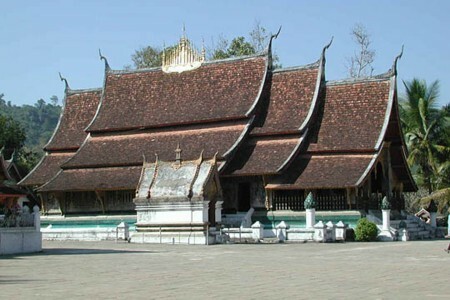 This temple was used to organize the highest Royal Ceremony and houses the funeral vehicle of the former king. In popular belief, it is also the site where two hermits placed boundary stones marking off the Luang Prabang settlement. Another legend deals with Chanthapanit, a betel merchant who founded a palace here and established himself as the first king of Luang Prabang.